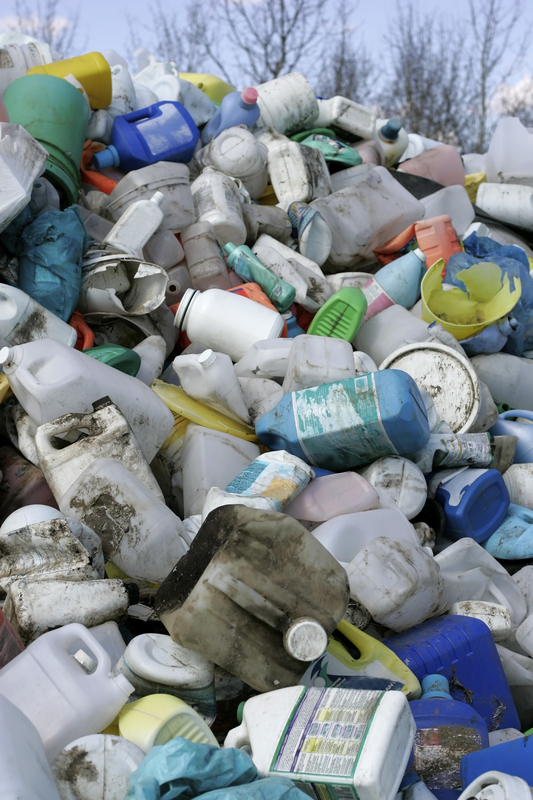 According to a study published in Science in January 2016, more than 300 million tons of plastic is manufactured each year. This is close to the weight of nearly every human. The world has produced nearly 5 billion tons of plastic since World War Two and is very likely to reach 30 billion by the end of the century. The impacts to wildlife and human health and the environment are devastating. Plastic can be found floating across the oceans, littering beaches and neighborhoods, and filling up landfills and incinerators. It has even sunk to the deepest parts of the sea floor. Seabirds and turtles become entangled in plastic and drown or choke to death. A vast proportion of the fish in the sea now have plastic in them. Plastic debris also absorbs and transports pollutants, which move up the food chain, contaminating the seafood on our plates. The answer to all of this trash is simple - use fewer single-use plastic items. While recycling is helpful, it is only part of the solution. The better solution is to avoid using so much plastic in the first place by making the switch to durable, reusable products. Through its Rethink DisposableTM program, Clean Water Action is taking-on single use disposable products like shopping bags, single use packaging and containers, plastic water bottles to protect marine life and the environment. 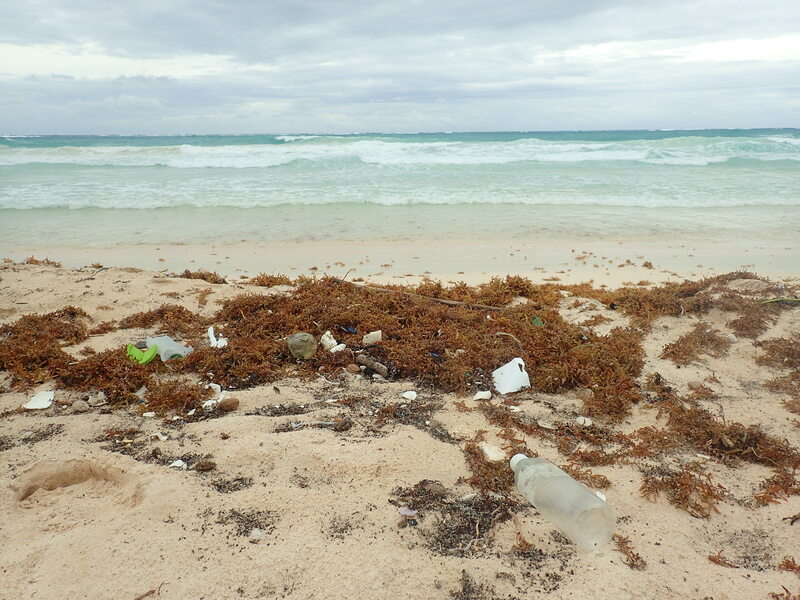 Studies show that two-thirds of the litter found in waterways and on our beaches are related to takeout food packaging. We can do better. Rethink DisposableTM is the path towards embracing affordable and practical options in eateries, food trucks, at events, home, work and school. Most festivals and events aren't known for being eco-friendly. Think of all of the plastic cups and Styrofoam containers used at the last event you attended. Clean Water Action is working to ensure greener events in the Garden State. We recently helped implement waste reduction practices at the 3rd annual Indian Summer music festival, which took place on the beach at The Anchor's Bend in Asbury Park in September 2016. The festival featured live music and DJs on three stages, a vendor market at the Asbury Park Bazaar, as well as beach camping, bonfire, and brunch, attracting over 2,000 visitors over the course of two days. 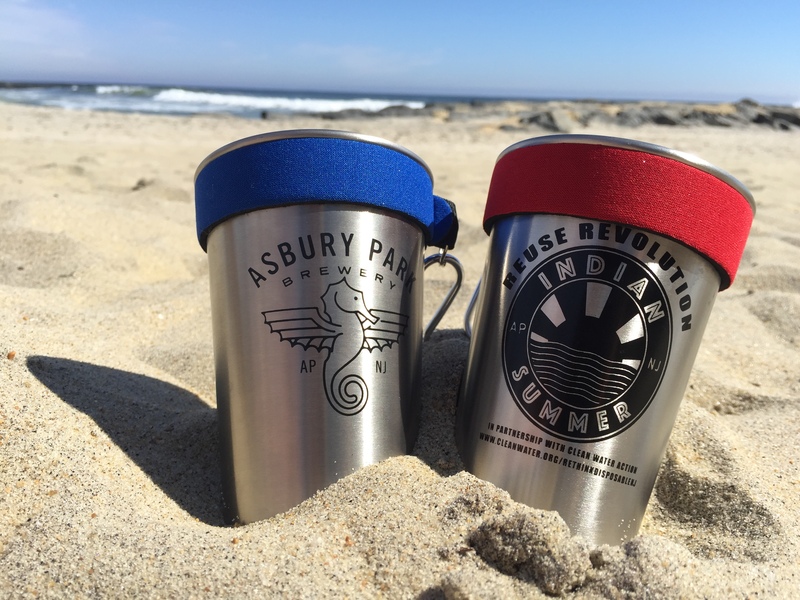 Working with sponsors like the Asbury Park Brewery and Sailor Jerry, we took steps to reduce the amount of plastic cups used all weekend by offering reusable souvenir cups. The Asbury Park Bazaar also offered reusable tote bags for shoppers and vendors. Overall, these efforts helped reduce almost 700 plastic cups and 200 plastic bags from being used during the event. Our super awesome intern Sam Kreisler also tabled at the event, educating festival-goers and urging them to "Take the Pledge" to reduce single-use disposables. The weekend ended with a Yoga Beach Brunch benefit on Sunday for our waste reduction efforts at Indian Summer. Both novice to experienced yogis came to enjoy the picturesque beach views as well as the beautiful weather. The day was gorgeous and the perfect way to end the green festival—on a true Indian Summer day. Since 2012, Clean Water Action has partnered with the Geraldine R. Dodge Foundation to implement Zero Waste practices at the Dodge Poetry Festival, the largest poetry festival in North America which attracts 14,000 visitors to downtown Newark over the course of 4 days. To help green the operations, we are replacing throwaway containers with reusable baskets at the food truck park as well as setting up self service areas for condiments, napkins and service ware. We have also assembled a Green Team of volunteers that will monitor resource collection stations and educate event-goers on the importance of reducing, reusing and properly recycling materials for repurposing.